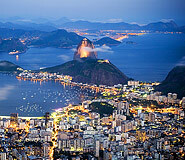 Browse our selection of exciting Brazil vacation packages. 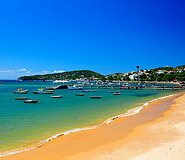 Brazil’s natural and cultural diversity makes it one of the most exciting Latin American destinations to visit. Wonderful beaches, majestic waterfalls, eclectic metropolis, and exotic rainforests are only a few of the many attractions of Brazil. 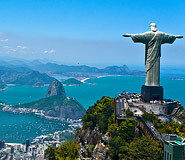 For an intimate experience at the best destinations in Brazil, book a single destination Brazil tour. 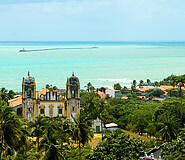 Brazil For Less travel experts specially selected and designed these tours to give you the best value and most exciting travel experience. 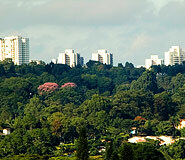 We offer tours to the most popular destinations in Brazil. All tours can be customized and combined with others according to your preference – because we take you where you want, when you want. 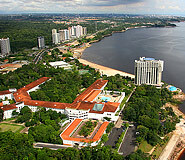 Discover the exotic wildlife of the Amazon with this 4-day tour to Manaus. Stay at a lodge in the heart of the rainforest & discover the many natural wonders of the jungle. 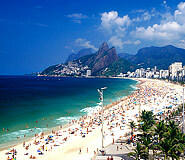 We are a leading Brazil travel agency providing services to thousands of satisfied customers every year. Why do people choose to travel with us?